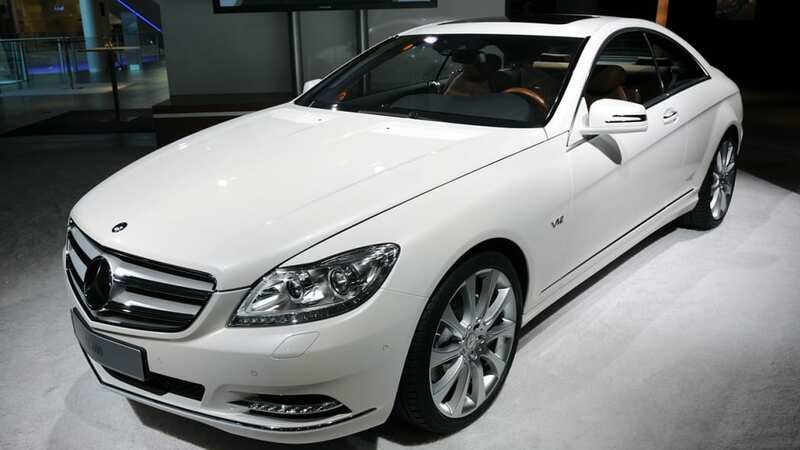 Mercedes-Benz released the initial photos and information on the 2011 CL-Class earlier today, showing off its updated luxury coupe. We were at the unveiling at the Mercedes-Benz World across from the historic Brooklands racetrack, and now have some live photos to bring you. 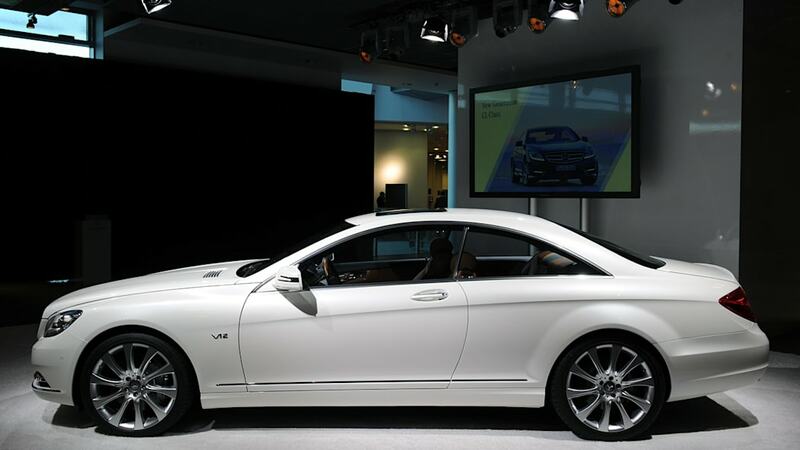 The big news for the 2011 CL is the updated engine offerings, which include the new twin-turbo 4.6-liter V8 producing 429 horsepower and 516 pound-feet torque in the CL550 model that also offers improved fuel efficiency. The 0-60 mph time has also been cut by half a second. 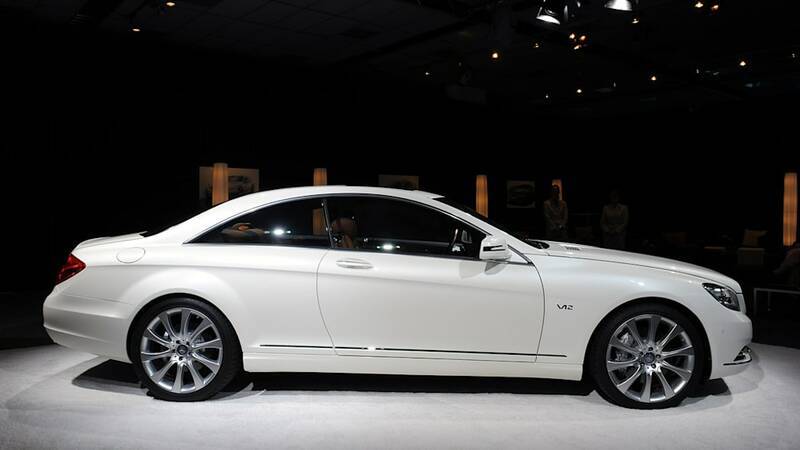 The CL600 (pictured) is also still available, powered by a 510 horsepower, 612 lb-ft torque twin-turbo V12. Additional upgrades to the CL include new safety technologies including Active Lane Keeping Assist, Active Blind Spot Assist, Adaptive High Beam Assist, Night View Assist and more. 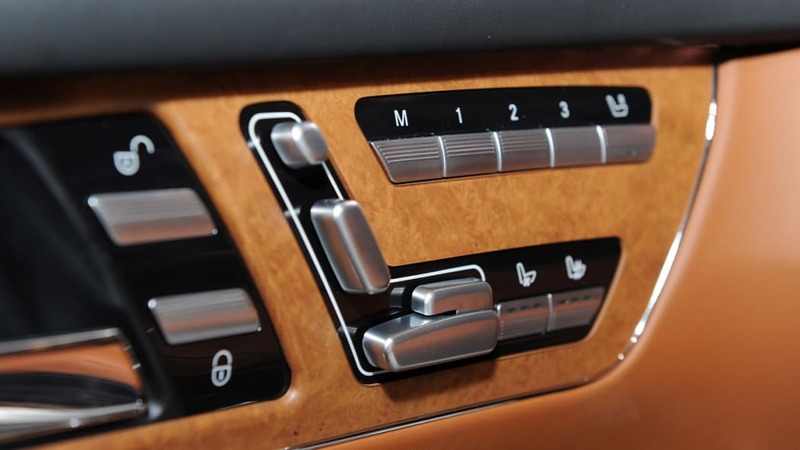 The Mercedes-Benz COMAND system comes standard, featuring USB and SD card interfaces mated to a 7.2 GB hard drive. You can view the new 2011 Mercedes-Benz CL-Class in detail, both inside and out, in the high-res gallery below, or follow the jump to read all of the details in the official press release. 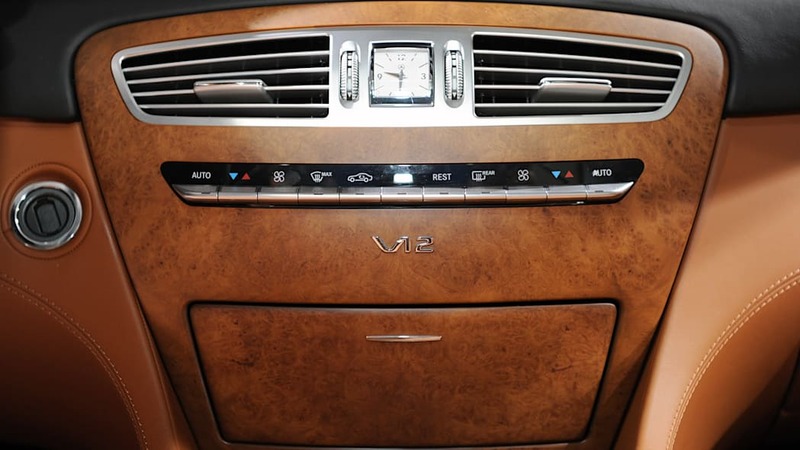 Photos by Drew Phillips / Copyright ©2010 Weblogs, Inc.
With stylish, eye-catching design, exclusive appointments and cutting-edge technology, the extensively updated 2011 Mercedes-Benz CL-Class underscores its flagship position in the world of refined automobiles. Powered by a new 429-hp V8 biturbo engine which achieves a 10-15% improvement in fuel economy and 23% improvement in CO2 emissions, the CL550 4MATIC opens a new dimension of efficiency in the luxury coupe segment. This significant reduction is achieved thanks to the newly-developed BlueDIRECT technology with third-generation spray-guided direct injection, energy-efficient control of alternator, fuel pump, air-conditioning compressor and power-assisted steering system. 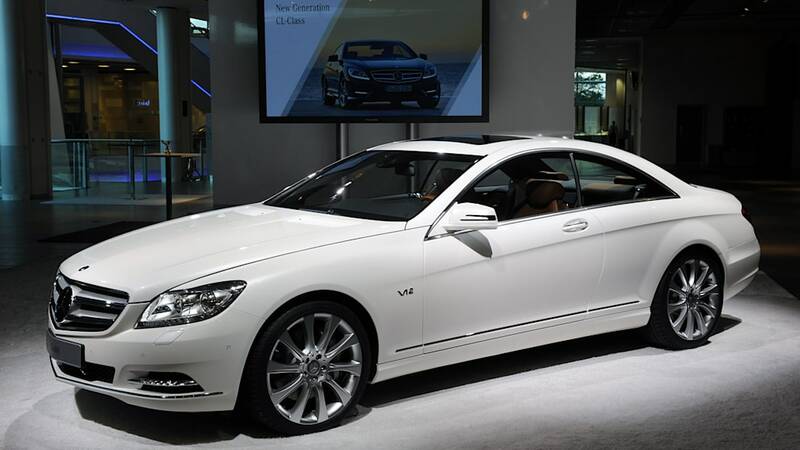 It also features the use of low rolling resistance tires and, on the CL600, the energy-optimized Active Body Control system. 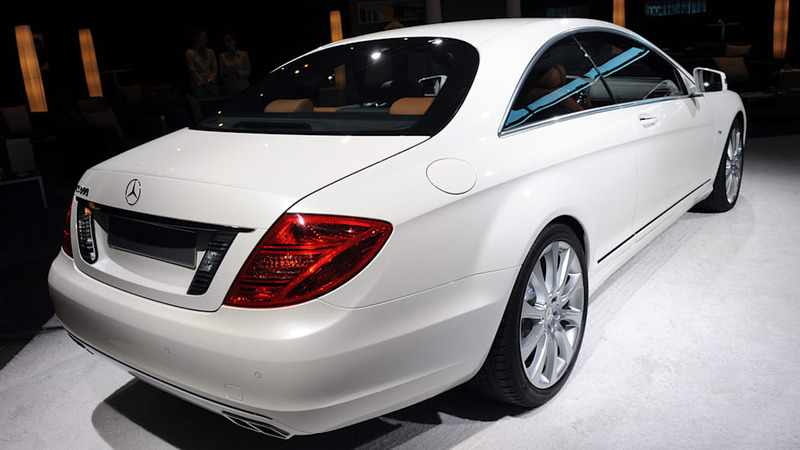 In addition, the Mercedes-Benz developers equipped the CL-Class with state-of-the-art multimedia technology, thus helping this model retain its position as the epitome of quality in its class. 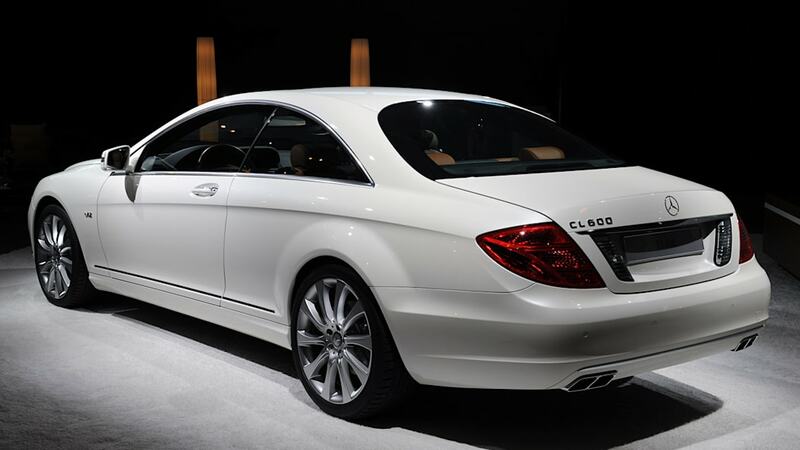 The 2011MY CL-Class will make its U.S. debut in Autumn of 2010. 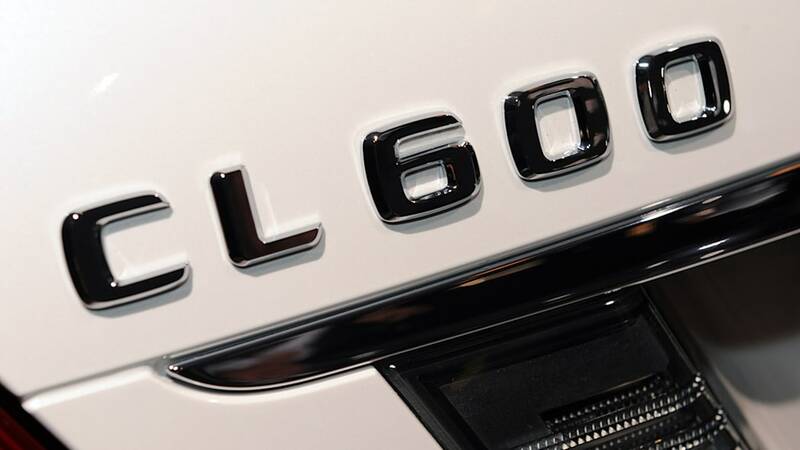 With the new generation of the CL-Class, Mercedes-Benz is emphasizing fuel consumption and exhaust gas emissions in this exclusive high-end segment. 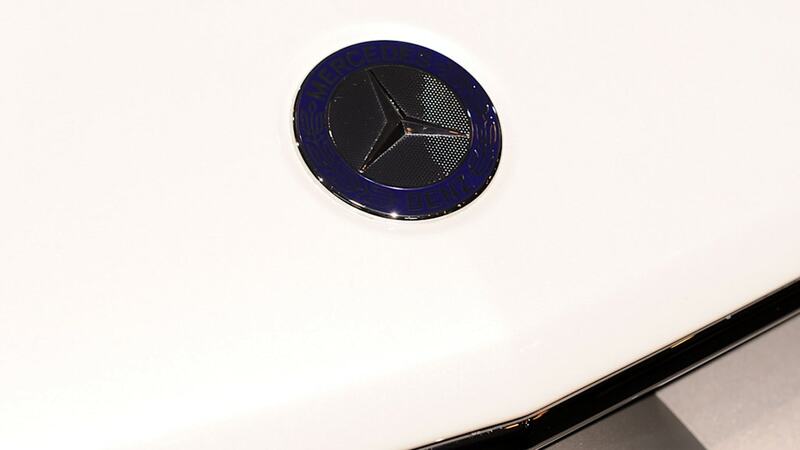 According to Dr Dieter Zetsche, Chairman of the Board of Management of Daimler AG: "The CL is the ideal ambassador for our brand. 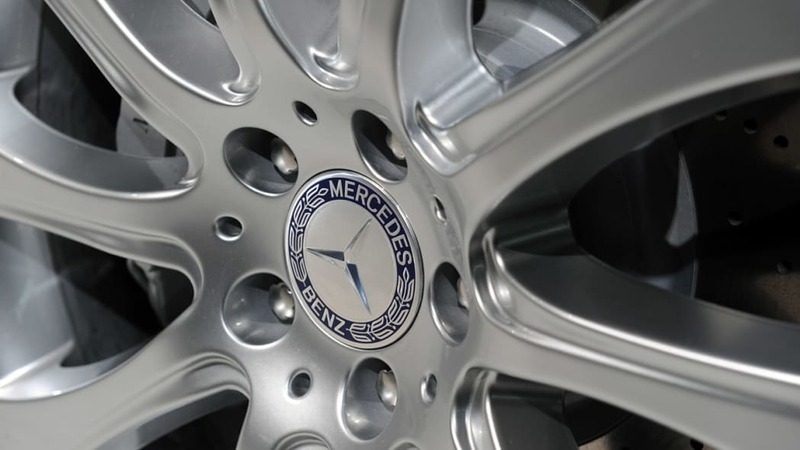 It combines in a particular degree those things that characterize Mercedes-Benz: fascination, perfection and responsibility. And with the new generation we have gone a step further, too – especially in the realm of efficiency. 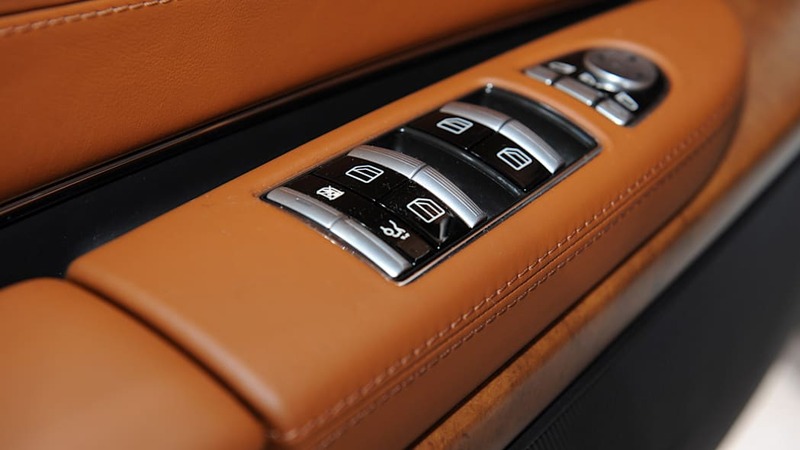 But in terms of design, safety, comfort and output, too – the CL shows the way forward: simply follow Mercedes." 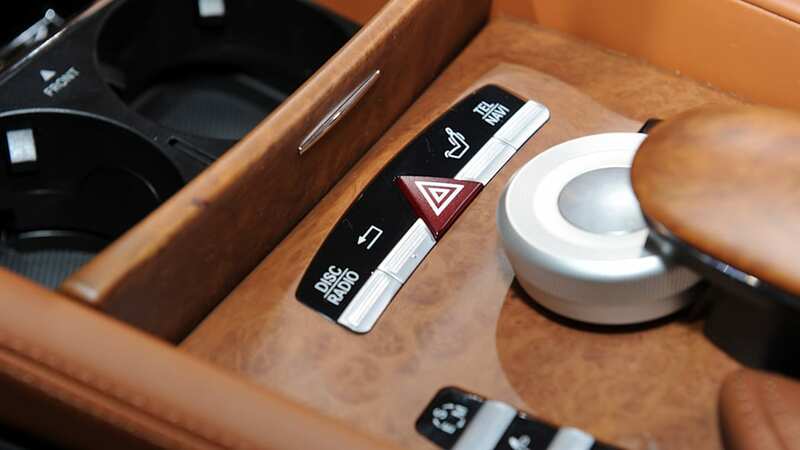 In the realm of safety, a combination of cutting-edge camera and radar-based assistance systems - unique in the luxury coupe segment - including the innovation of the Active Lane Keeping Assist and Active Blind Spot Assist systems, makes the CL-Class a "thinking" partner of the driver. The modified Active Body Control (ABC) with crosswind stabilization system and the Direct-Steer system also contribute to enhancing safety and driving enjoyment. 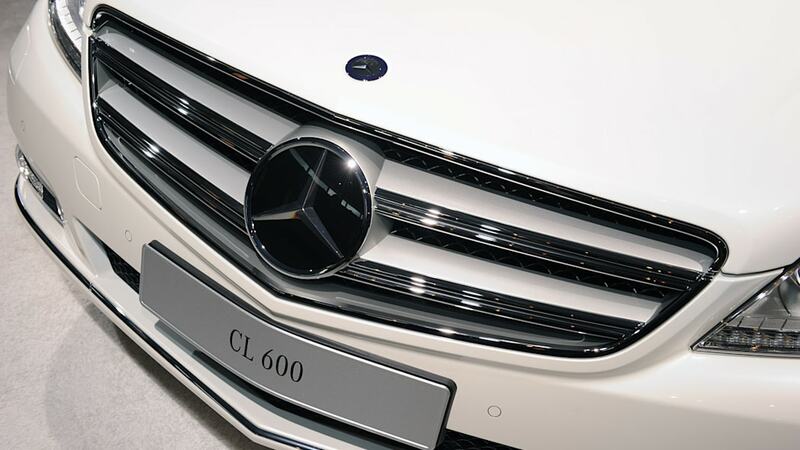 The exterior appearance of the new CL-Class is characterized by the taught profile of the hood, the dynamic V-shape radiator grille and the curving headlamps – design details that discreetly but effectively emphasize the car's elegant yet powerful lines. 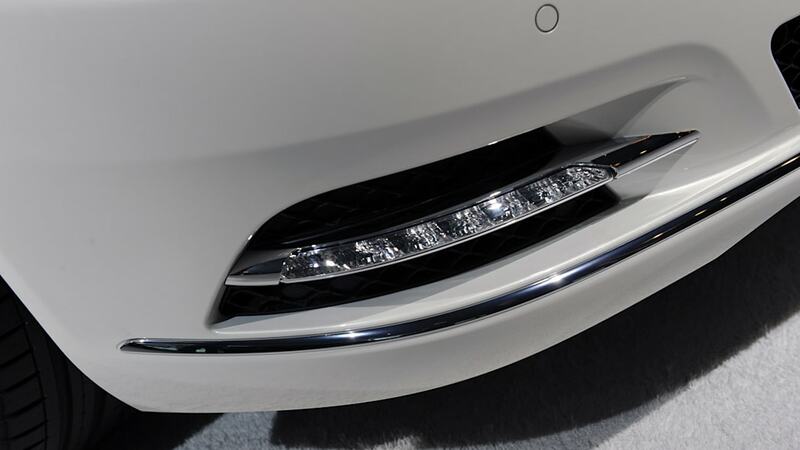 The front bumper presents a new three air intake design accented with a prominent chrome trim strip. An LED strip with chrome surround for the daytime running lights is elegantly integrated in the side openings for the brake cooling air. 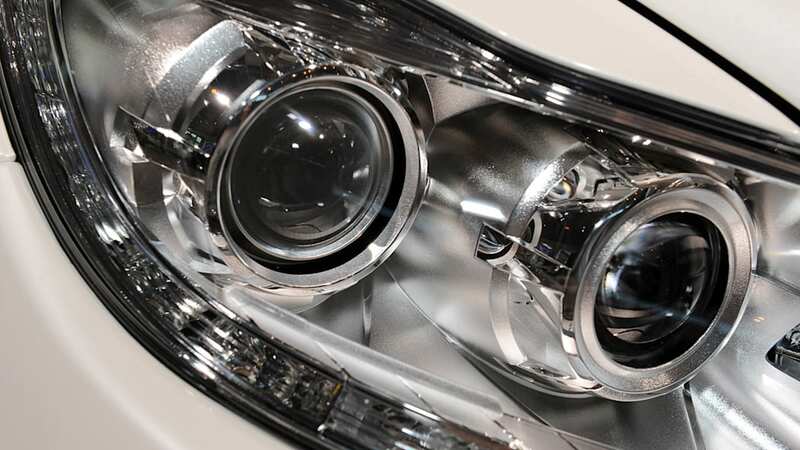 With standard Bi-Xenon Headlamps with active curve illumination and Adaptive Highbeam Assist, the headlamps offer state-of-the-art illumination. 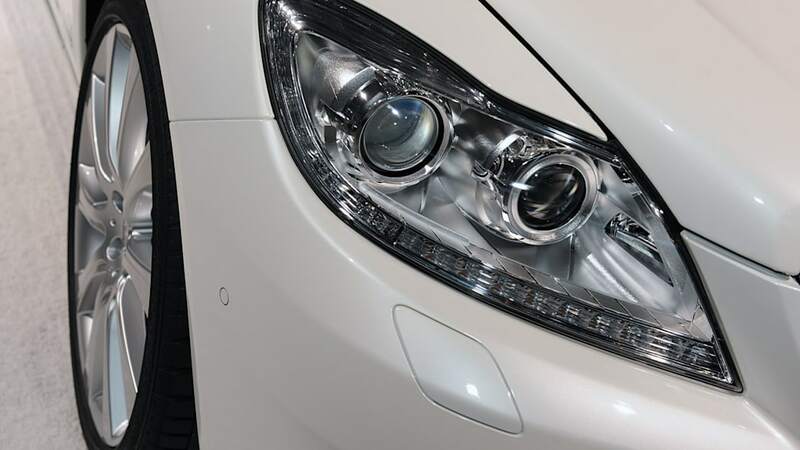 LED turn indicators and position marker lamps round off the car's advanced image while the rear of the vehicle is characterized by the newly-designed tail lamps. 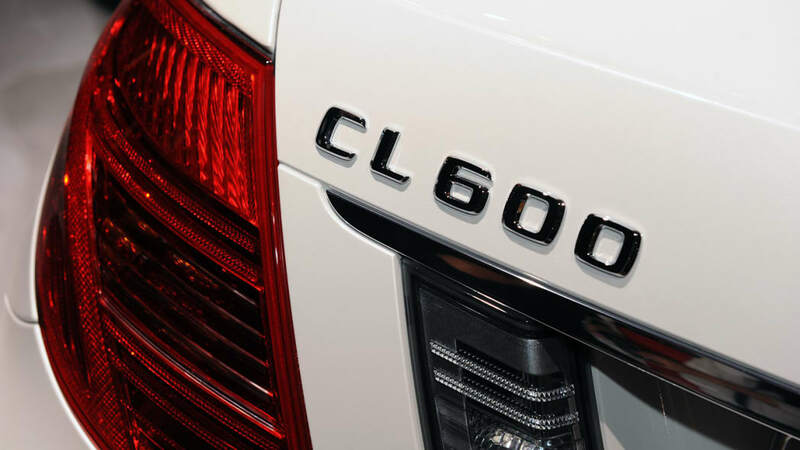 The new-generation CL-Class also assumes a pioneering role with its drivetrain. 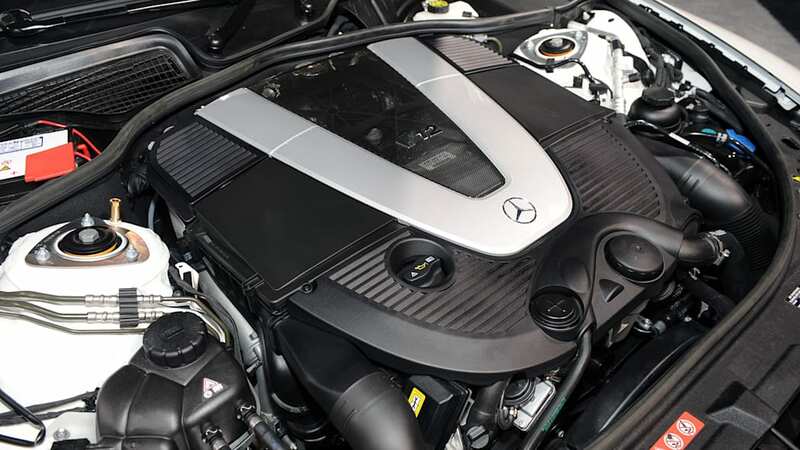 Under the hood of the CL550 4MATIC a new V8 biturbo engine with BlueDIRECT technology delivers impressive power. 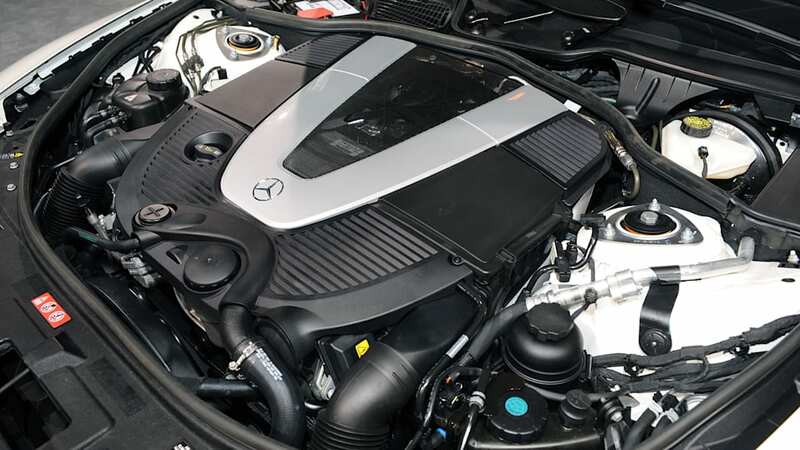 With its 4663 cc displacement, the eight-cylinder engine produces 429 hp so that despite 0.8 liters less displacement, it is still around 12 percent more powerful than its predecessor, which had an output of 382 hp. At the same time, torque was raised from 391 lb-ft to 516 lb-ft – an increase of 32 percent. The new engine achieves a 10-15% improvement in fuel economy and 23% improvement in CO2 emissions. 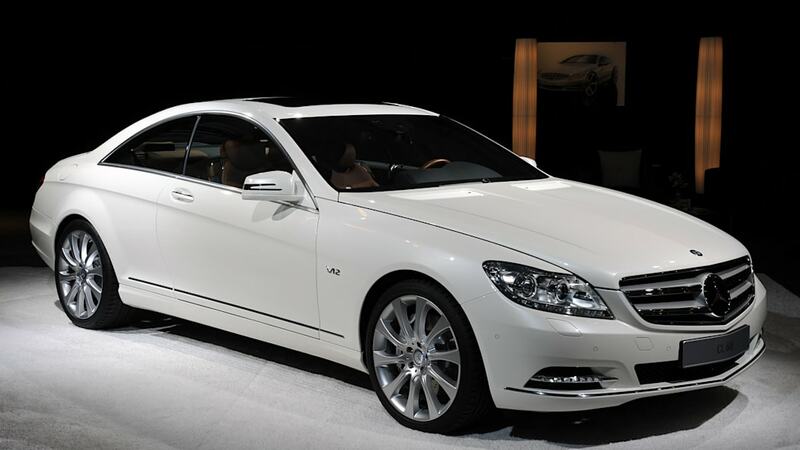 The CL5550 4MATIC requires a mere 4.9 seconds to accelerate from a standstill to 60 mph (previous model: 5.4 seconds). Summing up: the CL550 4MATIC is significantly more agile, torquey and thriftier than its predecessor. 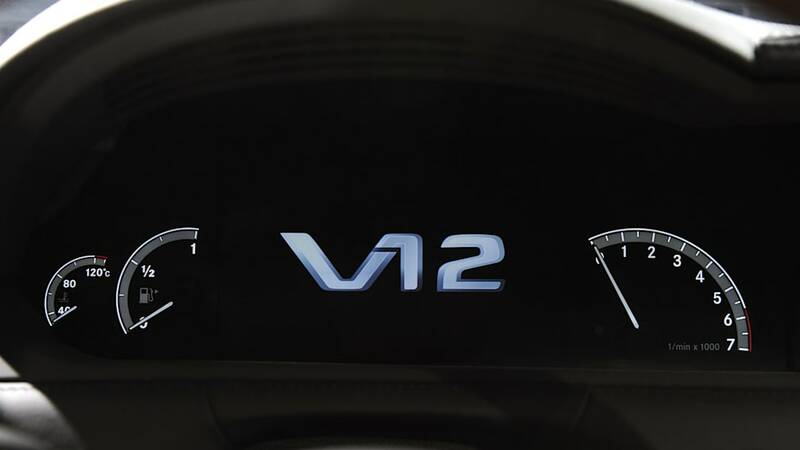 The BlueDIRECT technology package of the V8 biturbo includes a series of new developments, unique in their combination. 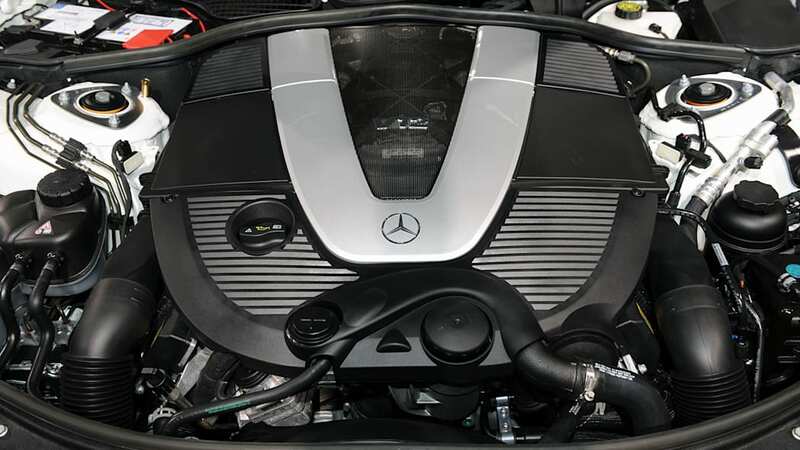 Worthy of mention among these is the third-generation spray-guided direct gasoline injection with piezo injectors and multi-spark ignition with up to four ignition sparks within a millisecond. Together both enable an innovative combustion process called "homogenous split". Other factors contributing to the exemplary low fuel consumption continue to be the consistent use of friction-optimized pistons, piston rings and cylinder barrels, the on-demand control of oil pump and the new three-phase thermal management in the coolant circuit. 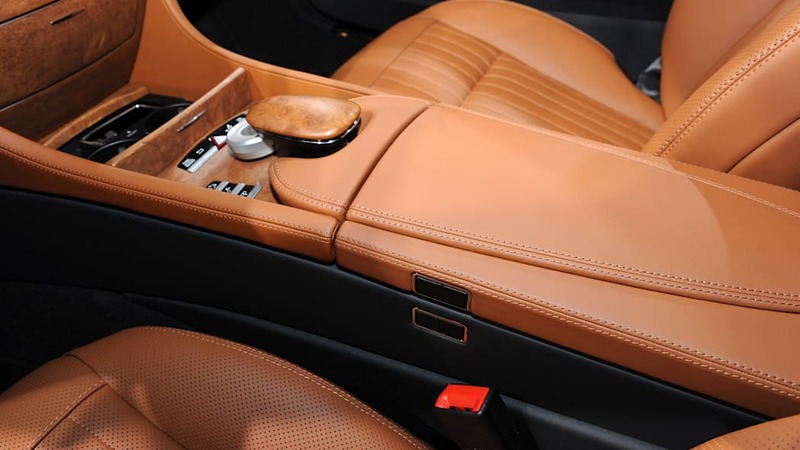 The luxury coupes also controls the alternator depending on the type of driving and on-board voltage. Kinetic energy is recuperated in the overrun mode. 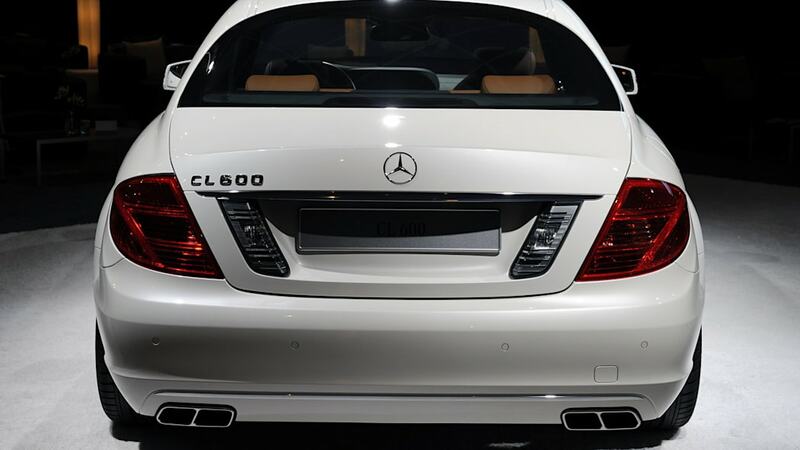 The CL600, with its 510 hp 12-cylinder biturbo engine and 612 lb-ft. of torque remains the top-of-the-line model: it accelerates the luxury coupé from a standstill to 60 mph in a breathtaking 4.5 seconds. 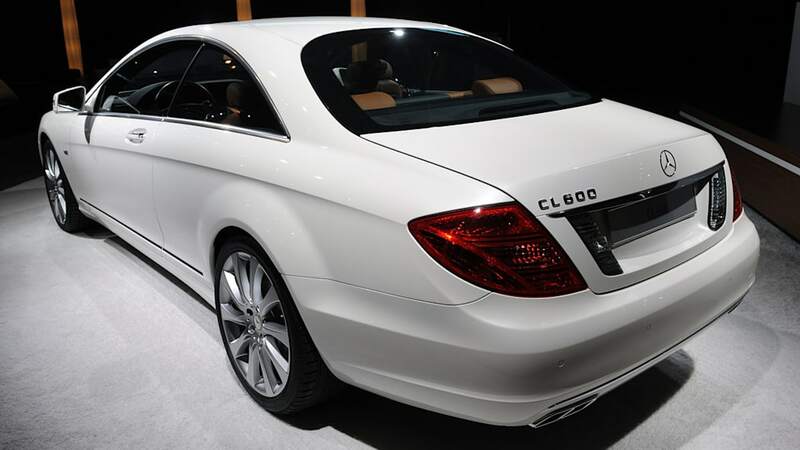 The 2011 CL-Class further enforces its position as an automotive masterwork and a technology platform with the most advanced assistance and protection systems. These highly perceptive assistants convert the coupe into a "thinking" partner that can see, feel and react instantly if it detects a hazard, acting autonomously to prevent accidents or to mitigate their effects. The trailblazing driver assistance systems in the CL-Class are based on state-of-the-art radar, camera and sensor technology. Active Lane Keeping Assist is a new safety feature making its debut on the CL-Class as part of the optional Driver Assistance Package. If the vehicle threatens to cross a continuous lane marking line, the system actuates an electric motor in the steering wheel, causing it to vibrate briefly – giving the driver a discreet but effective warning hint to countersteer immediately. 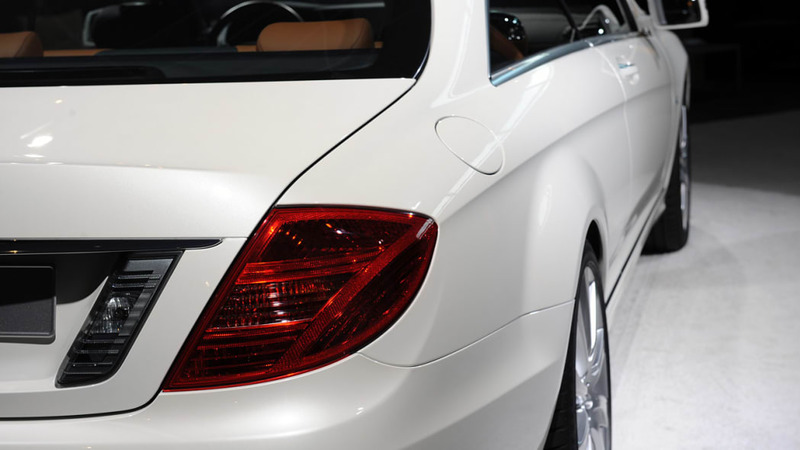 The active system springs into action if the Mercedes coupe unintentionally crosses a continuous lane marking line to the right or to the left. In this case, the car intervenes by gently braking the wheels on the opposite side of the car, helping the driver to stay in the lane. Active Lane Keeping Assist is built upon the existing ESP® Electronic Stability Program. Active Lane-Keeping Assist evaluates information provided by a camera mounted on the inside of the windshield. It identifies the contrast between the road surface and the lane markings. In addition, the optional radar system scans the side of the roadway for dividers and other roadway edge markings. The system also evaluates the driver's actions and can reliably determine whether the car is departing from the lane intentionally or not. For instance, there is no warning if the driver accelerates hard just before passing or when accelerating onto a highway, or if he brakes hard or steers into a curve. 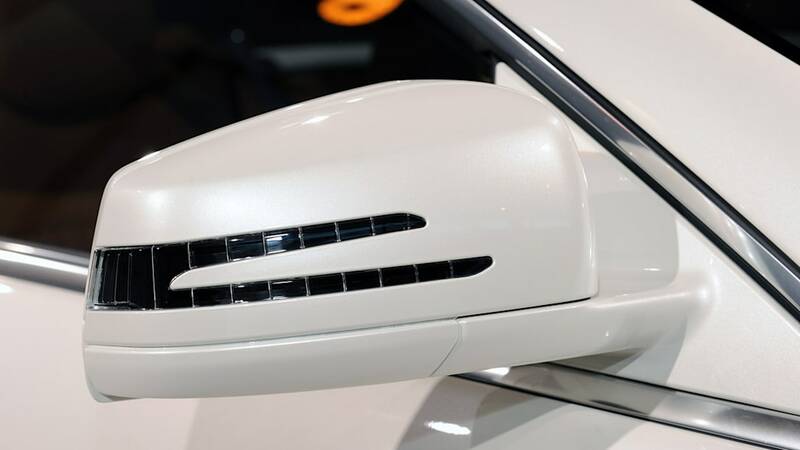 Another innovation Mercedes-Benz offers for the CL-Class is Active Blind Spot Assist, a system that makes use of a multi-stage warning concept. If the system detects that a lane change would be too dangerous, it warns the driver by displaying a red triangle in the glass of the exterior mirror. 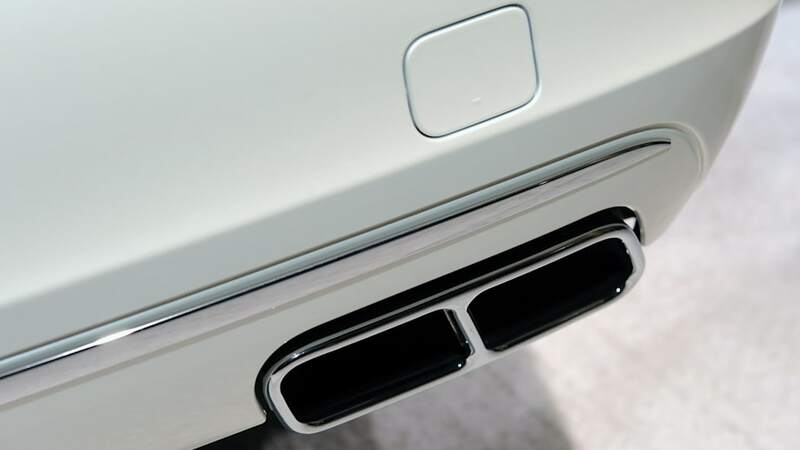 Close-range radar sensors monitor the area immediately to the side and to the rear of the car. If the driver disregards this warning and, for example, uses the turn indicator, an audible warning also sounds. If the driver continues to ignore the warnings and comes dangerously close to a vehicle in the neighboring lane, the system acts: a corrective braking intervention via ESP® is applied to the wheels of the opposite side of the vehicle. This causes a yaw movement about the car's vertical axis due to the unequal distribution of the braking forces. If an accident still cannot be avoided, the active Blind Spot Assist system can reduce the consequences of a collision through the brake actuation. 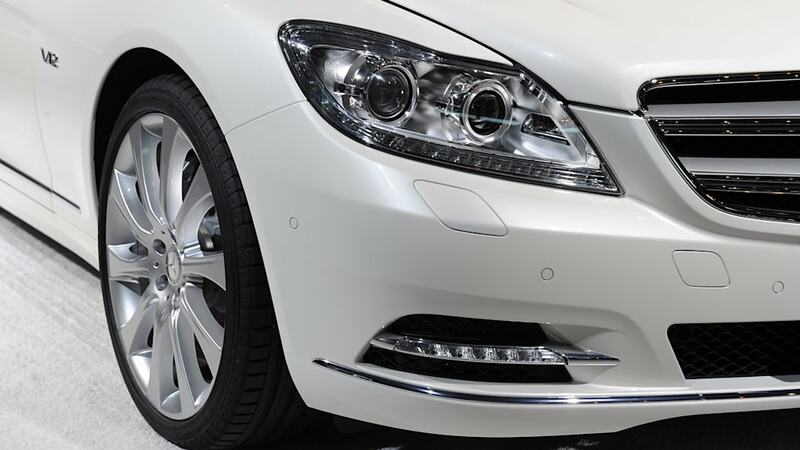 The Adaptive High Beam Assist system is now offered as standard equipment on the CL-Class. 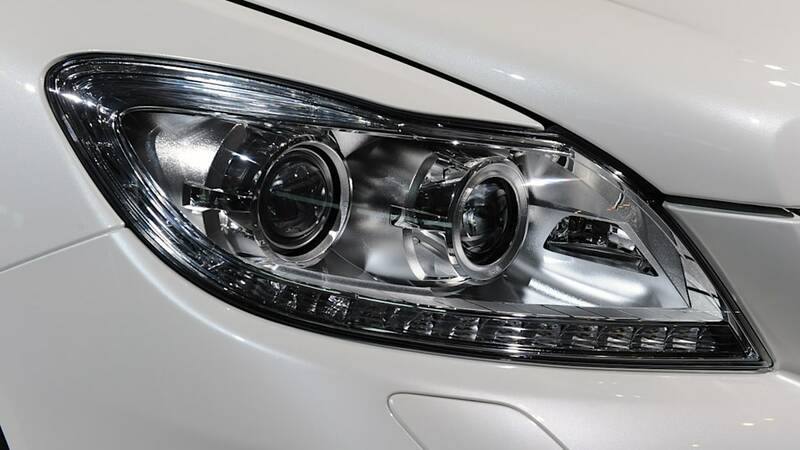 This camera-based system can recognize oncoming vehicles or vehicles ahead with their lights on, and then softly transitions from high-beam to low beam to create the best possible lighting conditions without dazzling other drivers. In addition, Mercedes-Benz offers the optional Night View Assist PLUS system for the CL-Class, featuring a special infra-red camera for pedestrian detection: pedestrians are now specifically highlighted in the display, to help alert the drivers in low light conditions. 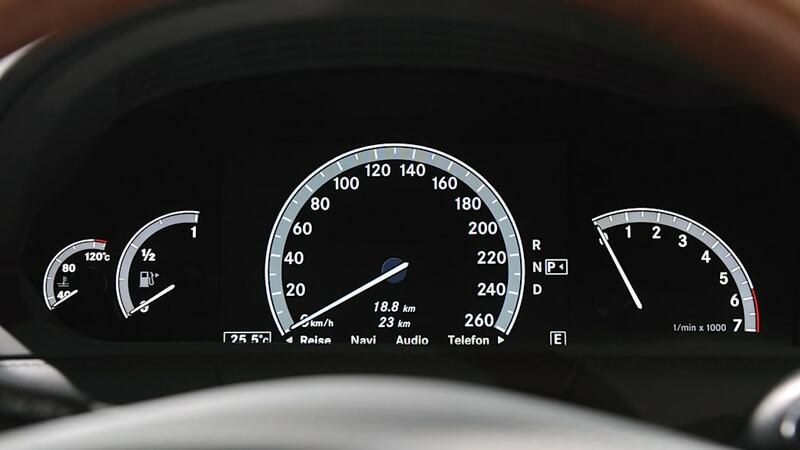 On European models, the images supplied by the windshield-mounted camera are also used by the new, optional Speed Limit Assist (not available in the U.S.), which recognizes speed limit signs in passing and shows the relevant speed limit in the central display and on the navigation system's map display. 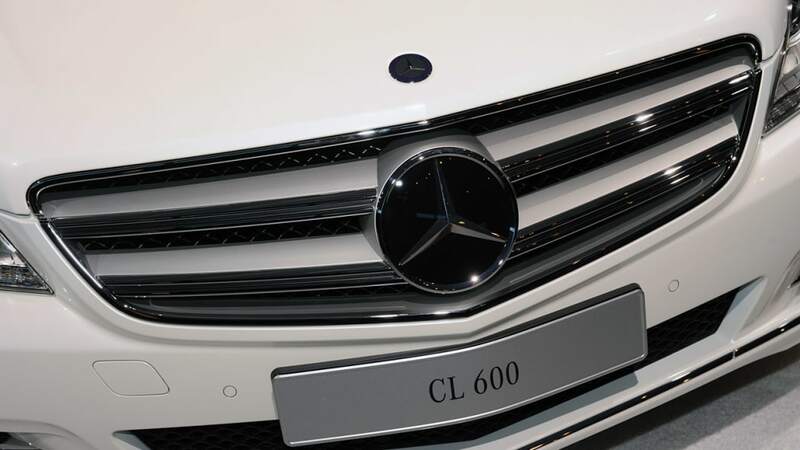 For the new-generation CL-Class, Mercedes-Benz has also improved the long and medium-range radar used by Brake Assist (BAS PLUS) and DISTRONIC PLUS proximity cruise control. 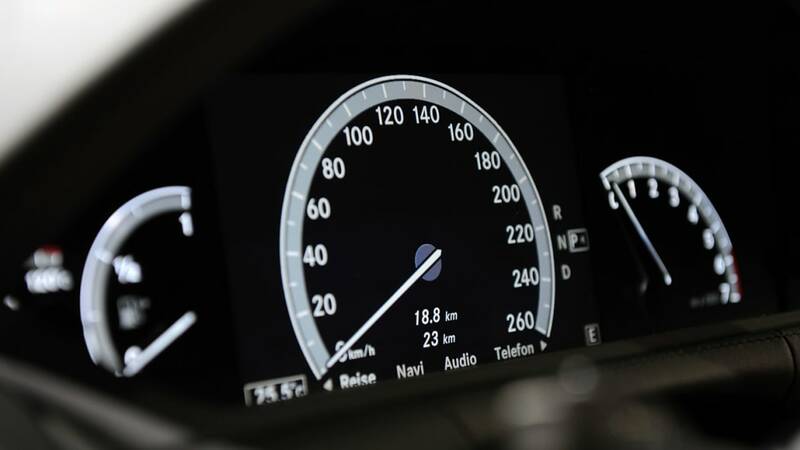 Mercedes-Benz offers another radar based system for the luxury coupé as a component of the Driver Assistance Package: PRE-SAFE® Brake with automatic emergency braking. If the driver is distracted and fails to recognize the imminent danger of a rear-end collision or the warning signal of an assistance system, PRE-SAFE Brake can intervene and autonomously apply partial braking. If the driver fails to react even after automatic, partial braking action, this new version of PRE-SAFE® Brake activates maximum braking pressure around 0.6 seconds before an unavoidable collision – this emergency braking action can significantly mitigate the severity of the impact. The PRE-SAFE® Brake thus acts as a kind of "electronic crumple zone". Drowsiness is one of the most common causes of accidents. This is why Mercedes experts have developed the ATTENTION ASSIST system which forms part of the standard equipment of the new CL-Class. The system continuously monitors more than 70 different parameters in order to identify driver drowsiness and provides a warning before the dangerous microsleep phase begins. 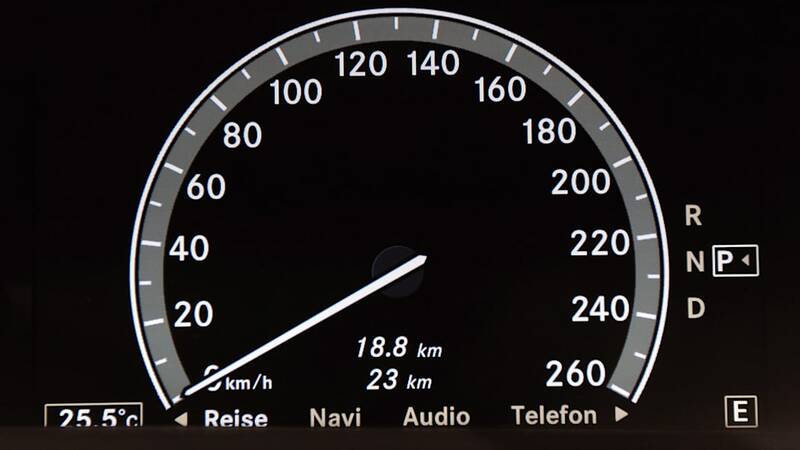 Observing the driver's steering behavior has proved to be a particularly strong indicator: several years of practical research by Mercedes-Benz have shown that drowsy drivers make minor steering errors which they often correct very rapidly in a characteristic way. This steering behavior is recognized by a special steering angle sensor. Observing the driver's eyes cannot always provide conclusive evidence of sleep since many drivers can experience micro-sleep with their eyes open. 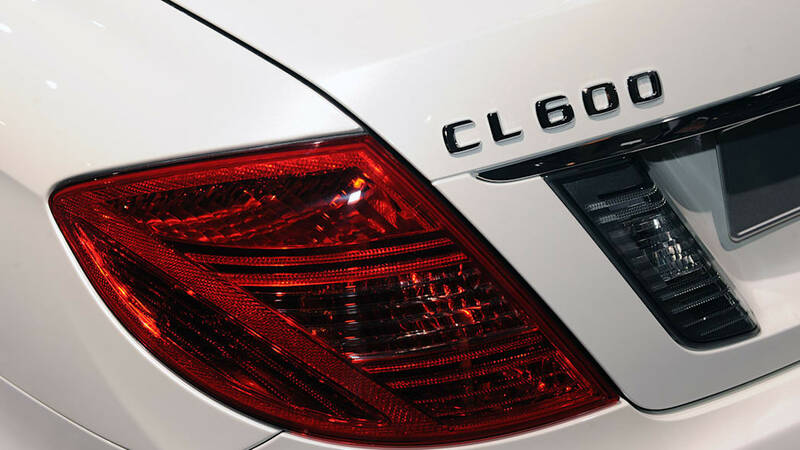 The CL-Class also meets the highest standards in terms of driving dynamics and agility. 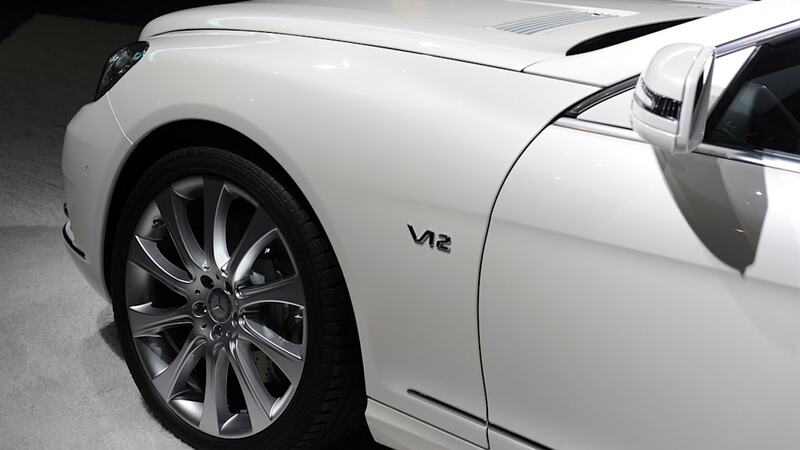 This is in part thanks to Direct-Steer, which can vary the steering ratio based on the steering angle, and modified Active Body Control (ABC) with crosswind stabilization (standard on the CL600, CL63 and CL65 AMG). This latest stage in active body development modifies the wheel load distribution via the ABC spring struts within milliseconds (depending on crosswind direction and intensity) to help compensate for crosswind forces. The Active Body Control suspension system – which ushered in new dimensions of driving dynamics in the preceding CL-Class in 1999 - is unique worldwide as it not only regulates roll, but pitching and squatting movements as well, ensuring a perfect harmony of comfort and handling stability. Since the introduction of this innovative system, engineers in Sindelfingen have continuously refined it, so that eleven years later it still marks the pinnacle of automotive engineering. In addition to crosswind stabilization, the new suspension features an energy-optimized hydraulic pump that takes part of the burden off the engine, contributing towards reducing fuel consumption. 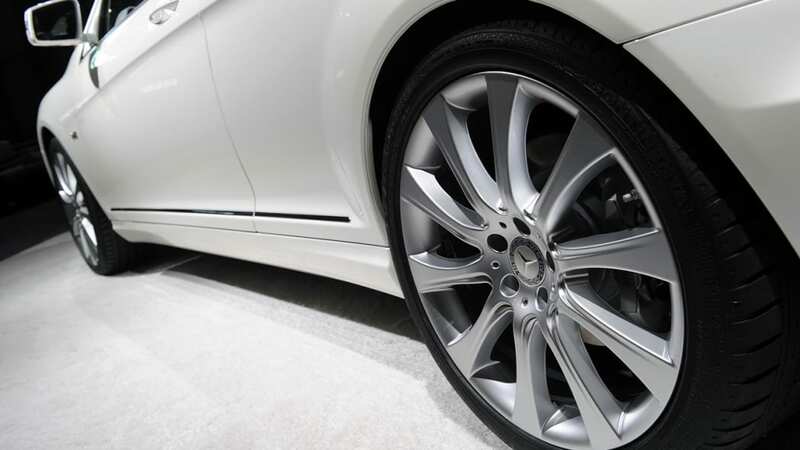 Additional safety and agility during spirited driving is provided by the standard Torque Vectoring Brake in the new CL-Class – targeted, one-sided braking intervention at the inside rear wheel when cornering. 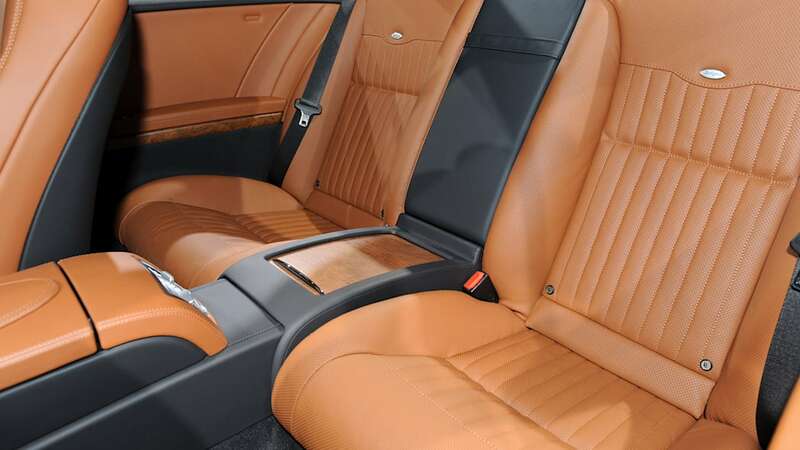 This enables the luxury coupe to turn into the bend under precise control with even greater agility. 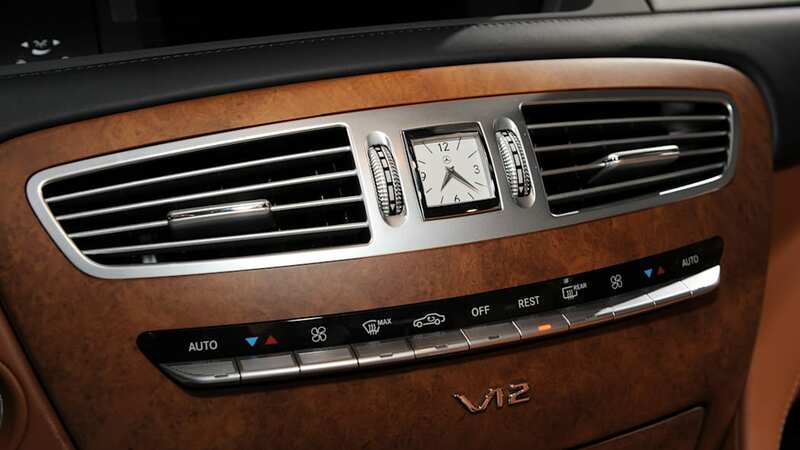 In line with its serene character and sophisticated technology, the CL-Class also sets standards for onboard infotainment. The latest innovation, SPLITVIEW technology, is optionally available for the COMAND system centrally located in the center console. This innovative display concept allows the driver and front passenger to view different contents simultaneously on the same screen. For example, while the driver uses the map-based navigation system, the front passenger can watch a DVD. The standard COMAND control and display system with Bluetooth®, USB and SD card interfaces offers customers the possibility of exporting their stored data to other vehicles and multimedia devices. It is also possible to transfer and update navigation data. 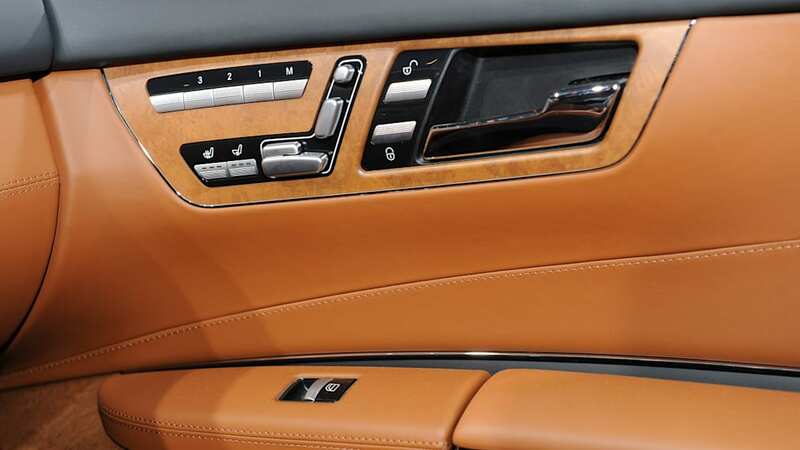 Mercedes-Benz integrates the Media Interface – an interface for mobile audio and video devices – via an auxiliary cable located in the glovebox. Standard audio equipment also includes radio, a 6-disc CD/DVD player with MP3 function, an equalizer with speed-dependent volume control and the 7.2 GB MUSIC REGISTER which stores around 2,500 digital music files in MP3, AAC or WMA format. The system recognizes music files played on CD, DVD or from the MUSIC REGISTER using its stored Gracenote® database, and shows the title, album and performer in the color display. The new Music Search function enables passengers to search SD memory cards, USB sticks, CDs and DVDs for specific music titles and performers. The standard Navigation system features a nationwide map system stored on a 40-Gigabyte hard disk, enabling extremely rapid route calculation. Another factor contributing to a high level of navigation ease is the detailed 3-D map display with SIRIUS real-time traffic information. 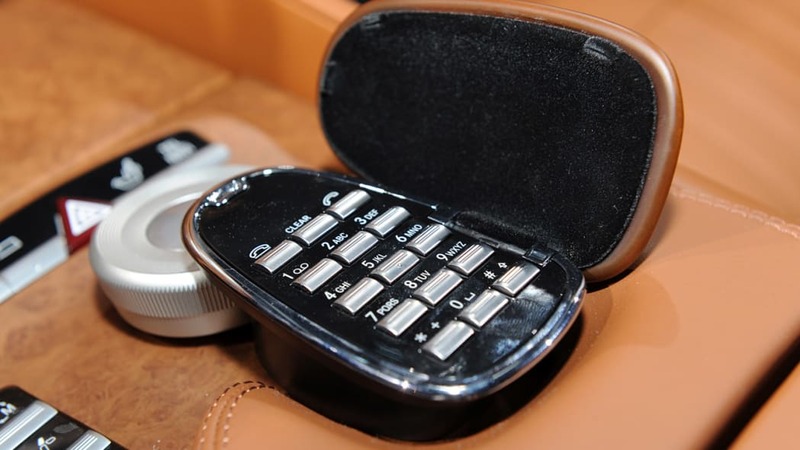 The standard Voice Control system allows the driver to operate the navigation, telephone and audio devices via whole-word input -- meaning the driver no longer needs to spell out his commands but simply speaks whole words when entering the destination, choosing a radio station or a music title from the Music Register, or when calling up a name from the phone book. 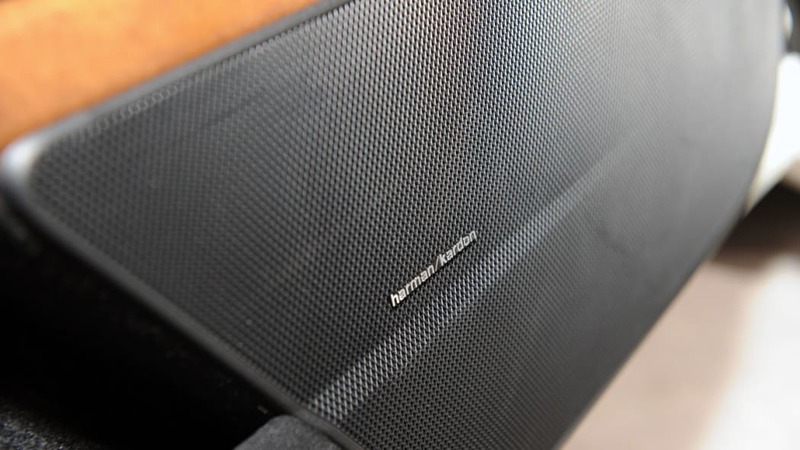 Co-developed by Mercedes-Benz and Harman Kardon® surround sound system with Discrete Logic7® technology delivers an outstanding performance with three-dimensional sound. CL-Class, paying careful attention to detail. 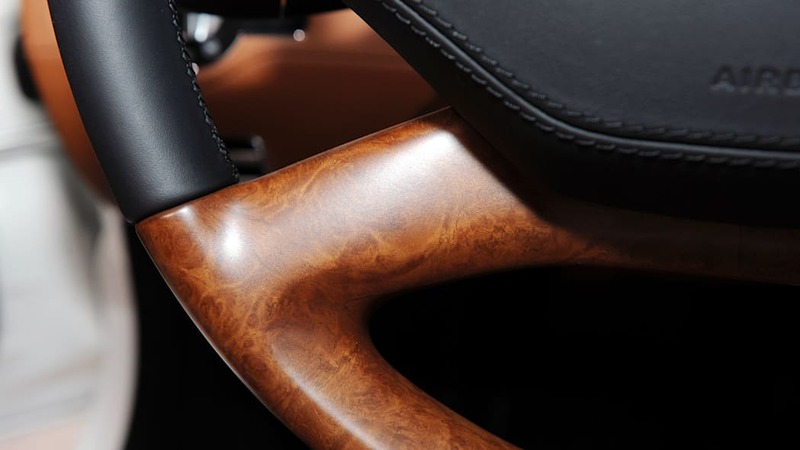 A total of four different kinds of fine wood open up the possibilities for perfectly matched material and color concepts: a choice of light or dark high-gloss burl walnut, black ash and high-gloss brown poplar on the CL600. 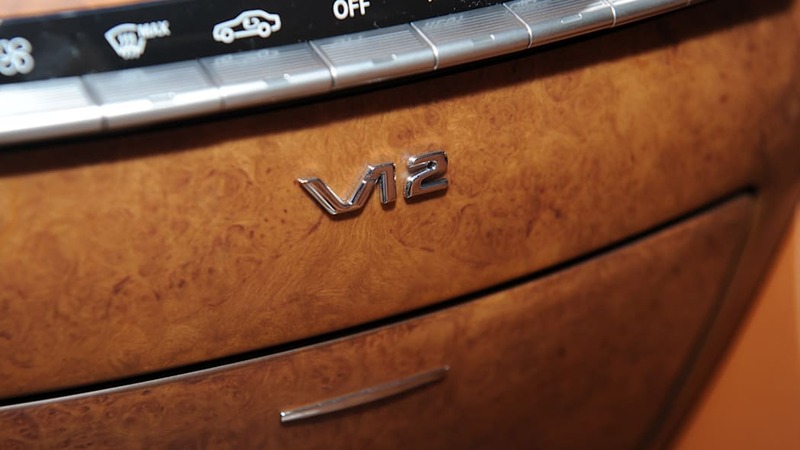 Important to note: in accordance with Mercedes-Benz' corporate philosophy of sustainability, the CL-Class uses only European wood from renewable forestry sources. 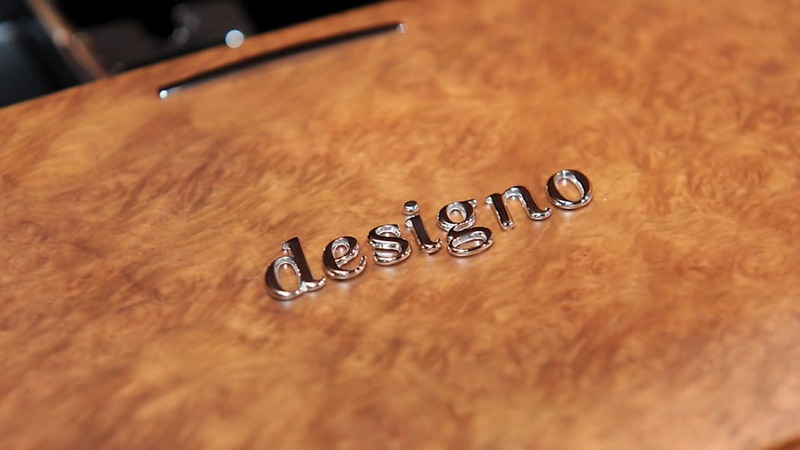 Most of the wood components are hand-made and matched individually for color and grain by experienced craftsmen. 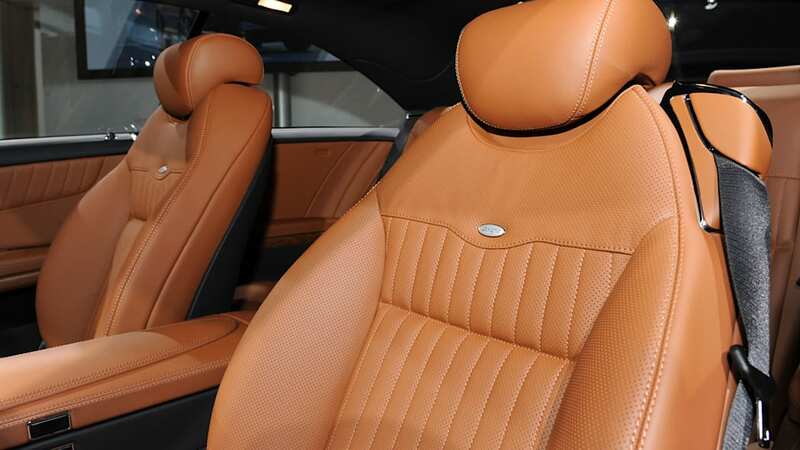 The seating materials found in the new CL-Class are of the most exquisite quality. 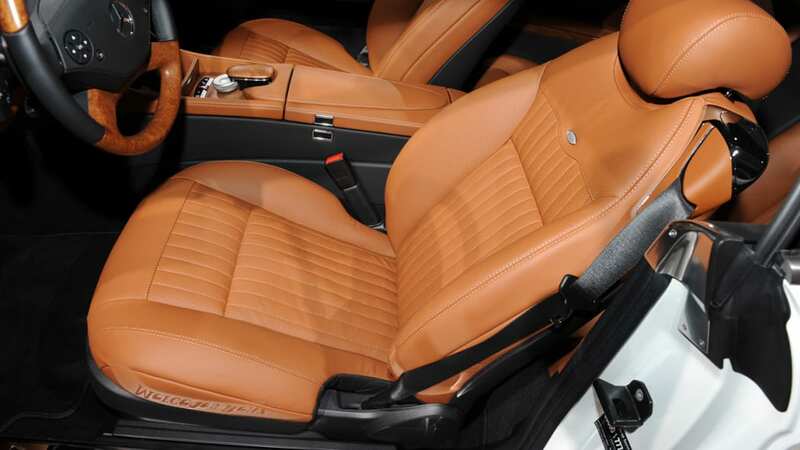 There is a choice of four tasteful color combinations for the vehicle interior: black premium leather, savanna/cashmere premium leather, ash/grey premium leather, sahara beige/black premium leather. 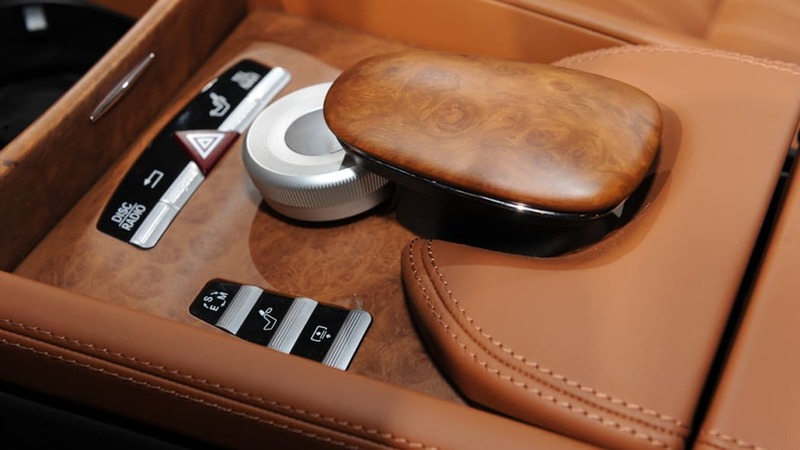 The multifunction wood/leather steering wheel of the CL-Class has also been modified by the Mercedes-Benz designers: the rim and airbag module are lined with soft nappa leather as standard. 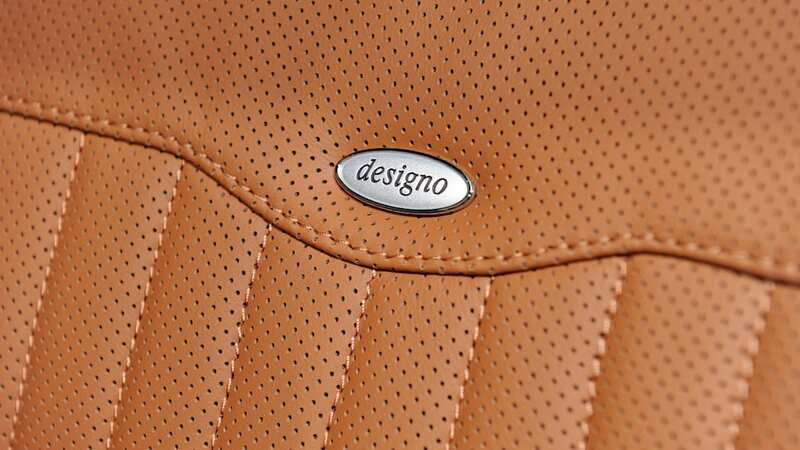 The new, flatter airbag module also lends a sporty touch to the multifunction wood/leather steering wheel sewn with sophisticated double stitching. 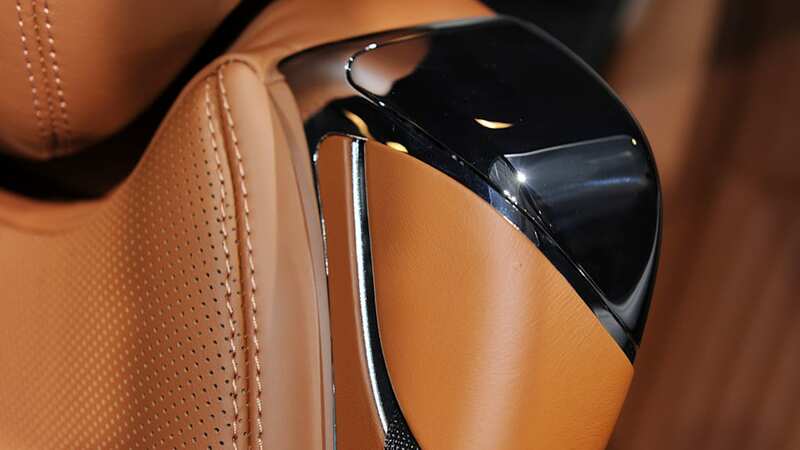 Apart from this, Mercedes-Benz makes more use of light as a styling element in the vehicle interior. 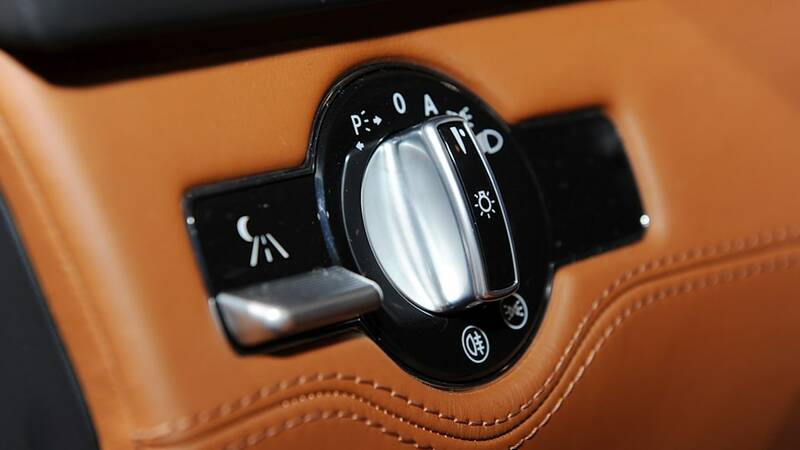 Standard ambient lighting provides a choice between three lighting moods: solar (amber), neutral (white) and polar (ice blue). 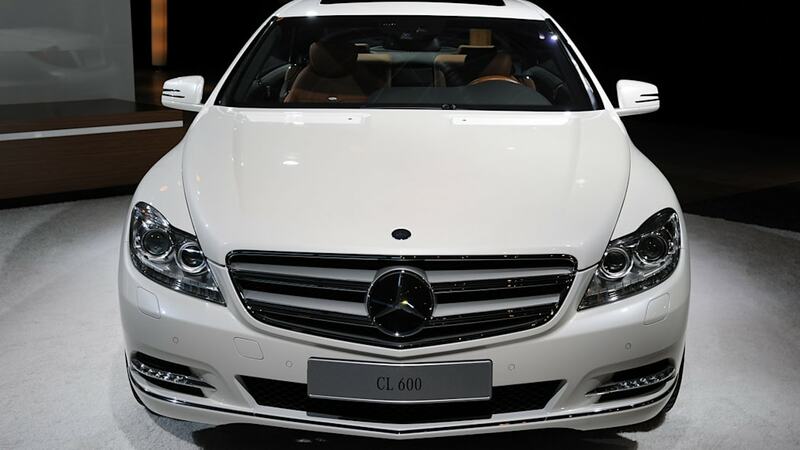 The new generation CL-Class continues the great tradition of Mercedes-Benz coupes, which reaches back to the legendary supercharged cars of the 1920s and '30s. 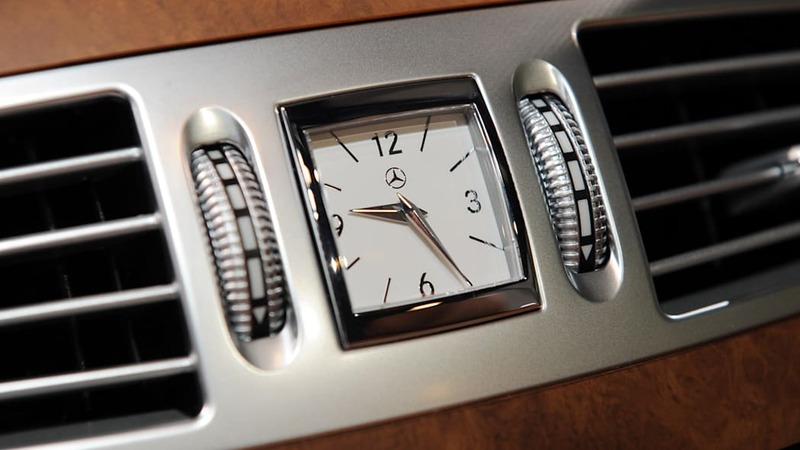 Since the 1950s Mercedes-Benz has produced an uninterrupted series of exclusive two-door cars which combine sophisticated design with trailblazing technology – every model an automotive classic. The W 188 model series 300 S Coupé -- which entered series production in 1952 -- marked the beginning. 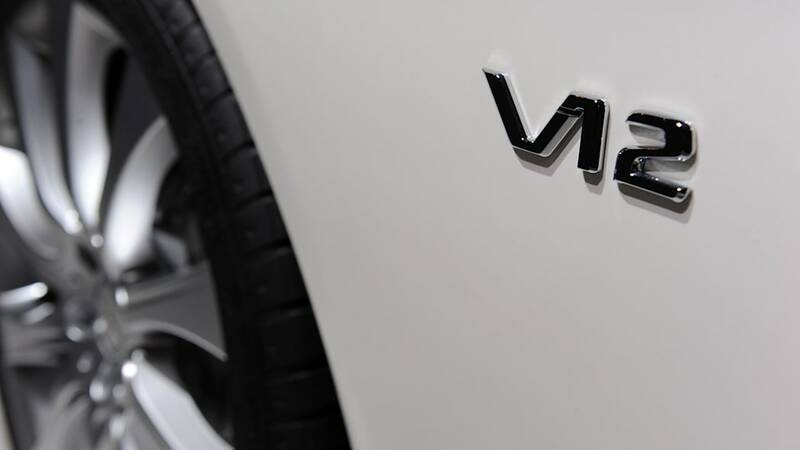 A contemporary report called it the "measure of what it is possible to achieve in automotive engineering". 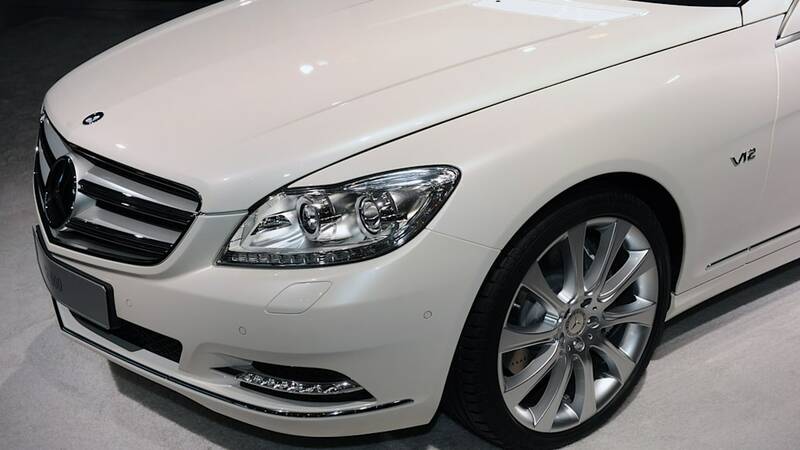 This statement has remained true for all subsequent models, right down to the current CL-Class, because the luxury coupes from Mercedes-Benz featured - apart from their timeless design and the highest level of comfort - trailblazing innovations in automotive technology. Thus it was that in 1961 the 220 SE Coupé was the first series-production Mercedes-Benz to be equipped with disc brakes. 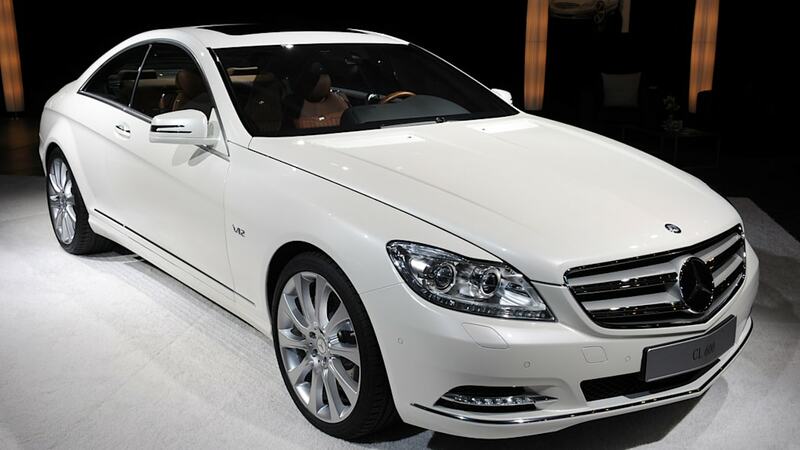 In 1995 the ESP Electronic Stability Program celebrated its world premiere in the S 600 Coupé of the C140 model series, and in 1999 the Active Body Control suspension system was introduced for the first time in the C215 model series CL-Class. 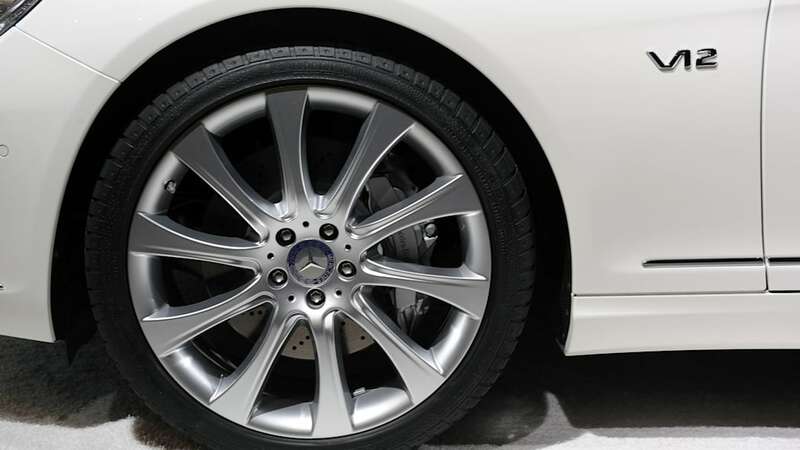 The technological innovation PRE-SAFE® brake made its debut in a large Mercedes-Benz coupé. Now two new developments in the 2011 CL-Class, Active Lane Keeping Assist and the Active Blind Spot Assist, will help prevent accidents or reduce their severity.